Christmas is just around the corner! It is no doubt a season for gift giving and feasting on sweets! If you are looking for more options to buy "pasalubong" or gifts for your loved ones, I am sure SM Megamall is one of those. However, this mall is insanely big. It's gonna eat your time wandering from here to there. I am here to help! There's only one place you need to go: Sugarhouse. Started in 1985, Sugarhouse is known for selling delicious pastries, cakes, breads and loaves. 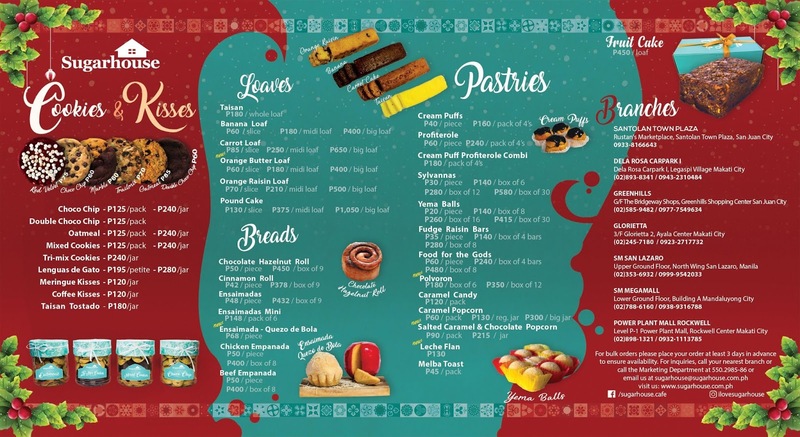 My sister just joined the launching of Sugarhouse Megamall's Christmas catalog just a few days ago. 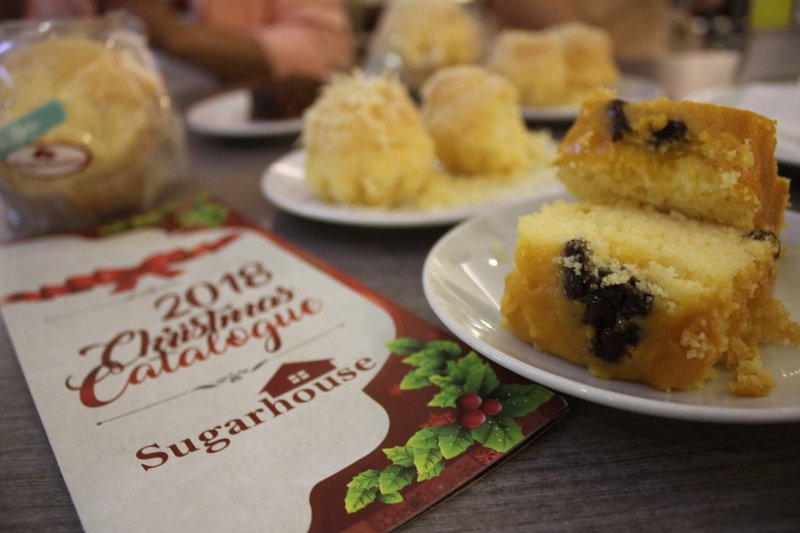 We know this season, the demand for buying sweat treats are high but in Sugarhouse, everything is so affordable like leche flan (Php 130), quezo de bola ensaimada (Php 60), cream puff (Php40), cinnamon roll (Php 42), chocolate hazelnut roll (Php 50) and more. 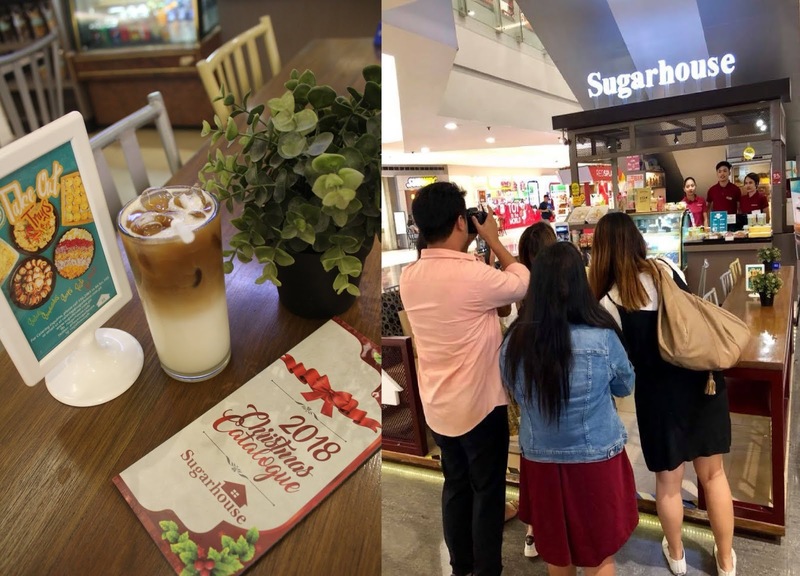 Of course, her presence during the launching of Sugarhouse Megamall's December treats comes with the honor to taste some of the store's best sellers. Leaving the home with an empty stomach was a good decision. She had a blast tasting Sugarhouse's delicacies. For some reasons, she liked the banana loaf so much that she's coming back this week to buy a few more because mom is coming from the province. The banana in the banana leaf can be tasted. We've eaten some banana loaves in other stores, it's always a failure. The moment she opened the plastic wrap, for a moment she can smell the aroma of banana. The next one is the carrot loaf. It was her first time taste this kind as a loaf not as a cake. She said she'll give more try. The orange raisin loaf is so promising! She loves to eat raisins in whatever form it is. This one she can't resist! Special mention to the fruit cake. 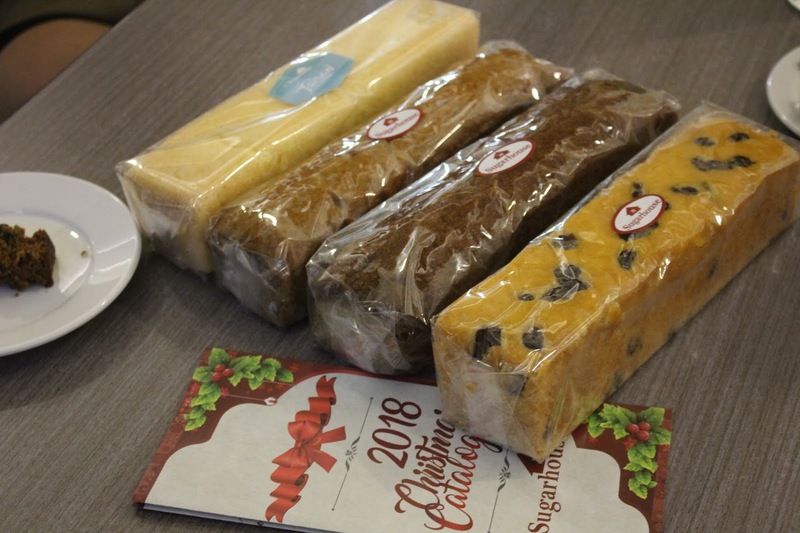 While we know fruit cakes are usually known to only exist during the yuletide season. She wishes that fruit cakes should be sold whole year round! It is so delicious and really heaven sent for those who got a sweet tooth. Another one that she went gaga, are the ensaimadas. Back home in Bicol, our late dad used to buy every afternoon ensaimadas for our afternoon snack. 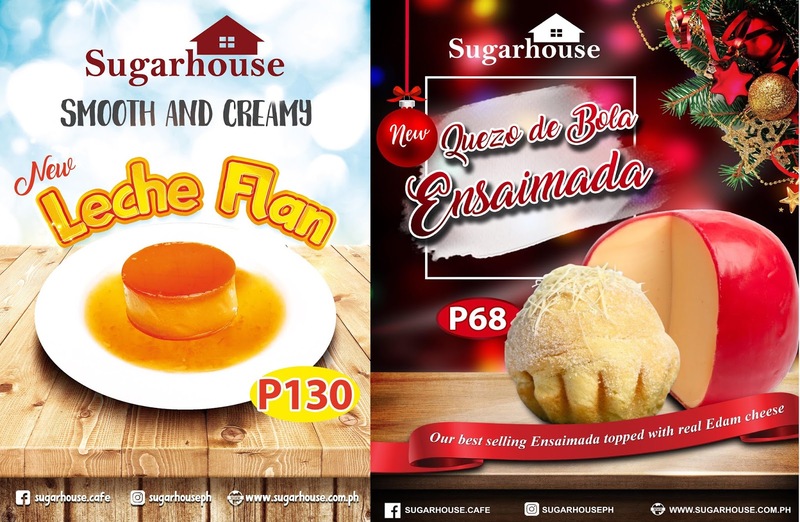 In fact, Sugarhouse's ensaimadas specially the one with queso de bola bits stole her heart. Chocolate truffle cake is one of Sugarhouse Megamall's best selling cakes. After having a few bites, she couldn't agree more. She can finish half of this in well, less than half an hour. Good thing, Sugarhouse knows that more and more people are getting conscious about their sugar consumption. 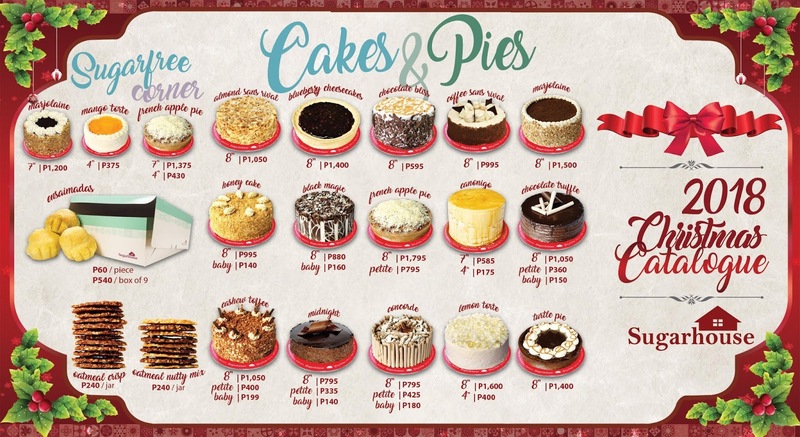 This cake comes in three sizes: 8 inches (Php 1, 050), petite (Php 360) and baby (Php 150). Cookies and chips can be bought per pack or per jar. Breads can be bought per piece or per box. Whether your decision to buy something is driven because of what's in your pocket or taking care of your health, Sugarhouse knows about it. I love popcorns! 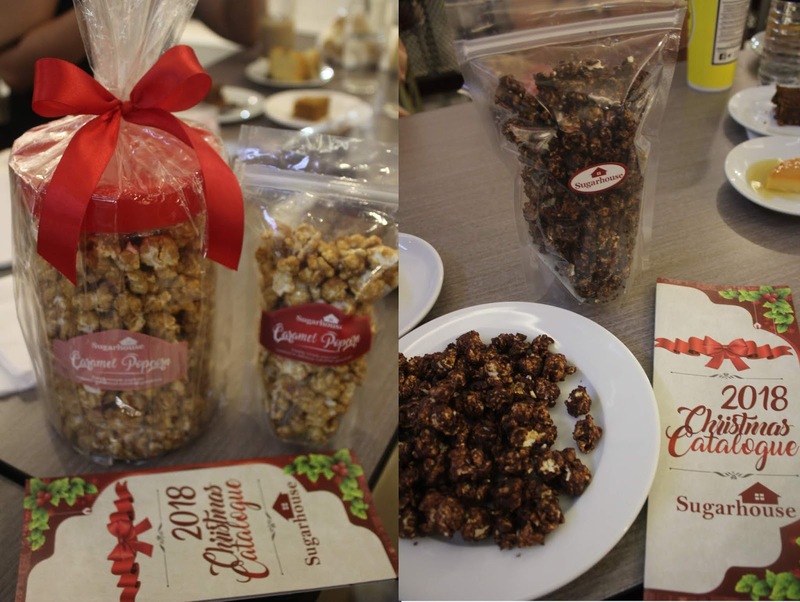 Sugarhouse sells popcorns in three variants: chocolate caramel, salted, chocolate popcorn. I am just wondering why they didn't considered adding the one with cheese flavor because that's my favorite. And oh by the way, the ubiquitous leche flan of Sugarhouse arrived safe and sound. We ate it in ten minutes. 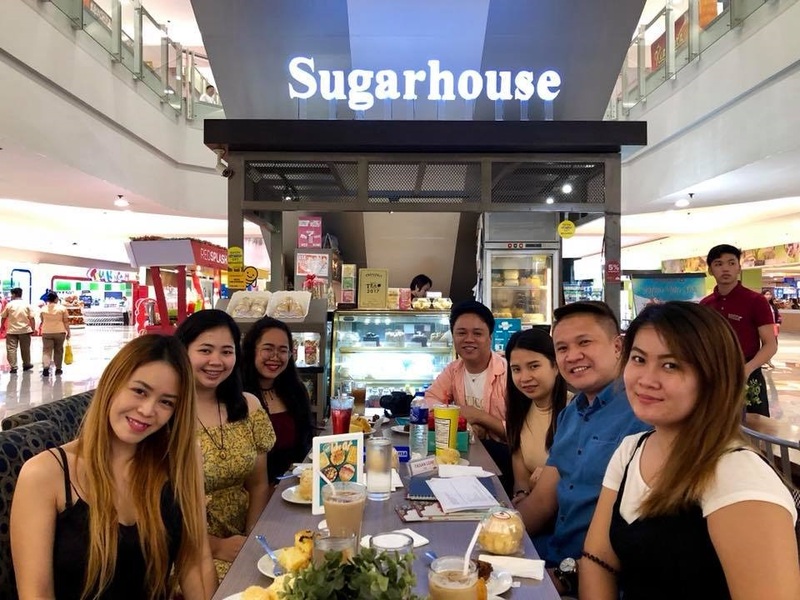 Third from the left is my sister (Juliet Alexis Beltran) along with fellow bloggers and Sugarhouse Marketing Consultant Jeffrey De Real Rusios wearing light blue polo shirt. Photo credit: Sugarhouse Facebook fan page.